This thread will introduce all of you to one of the most obscure pattern planes in existence. A plane that to me, has almost mystical qualities. 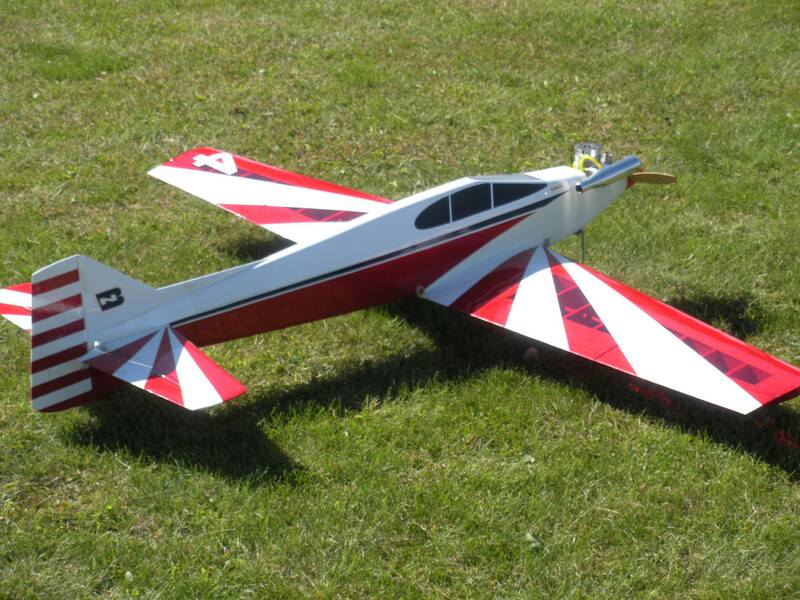 The Groover was designed and refined over many years by my local RC modeling mentor Nathan Bast (deceased). His Groover had 4 generations. Each generation a refinement of the prior. 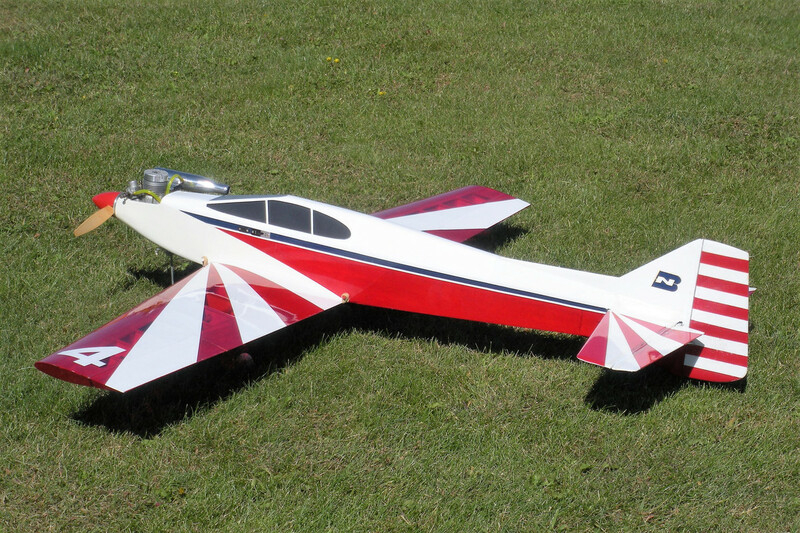 All generations of the Groover were good flyers, but the 4th and final configuration was, and still is, an amazing plane; fast, very aerobatic, and tracked (grooved) like it was on rails! Knife edge performance was very important to Nathan. 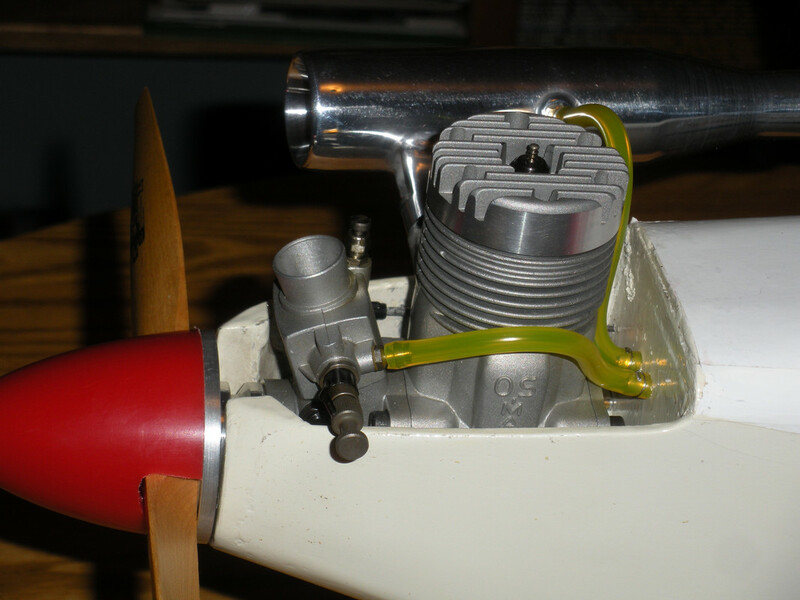 The Groover 4 in either the 60 or 40 size was and is capable of many consecutive knife edge loops with a good engine. The Groover was known to only a small enclave enthusiastic devotees. I was among them and will always remember the day Nathan felt confident enough in my flying ability to let me fly his Groover. What an amazing experience that was! Pure RC nirvana! The Groover remained next to unknown. 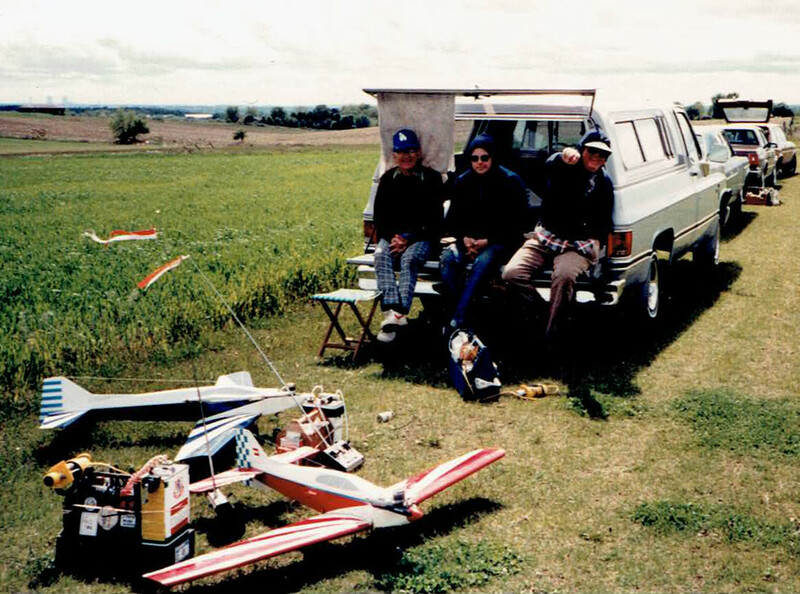 Nathan never joined the local clubs, but chose instead to fly from more private remote areas, therefore the limited audience. Nathan was kind enough to share his plans with a few of us and 35 years ago during the Groover's heyday there would be 2 or 3 Groovers at the field. Nathan is on the right giving his signature hand signal as if to say "having a great time"! As some of you know I have been out of RC for 30 years. I had carefully stored away my precious Groovers all those years. 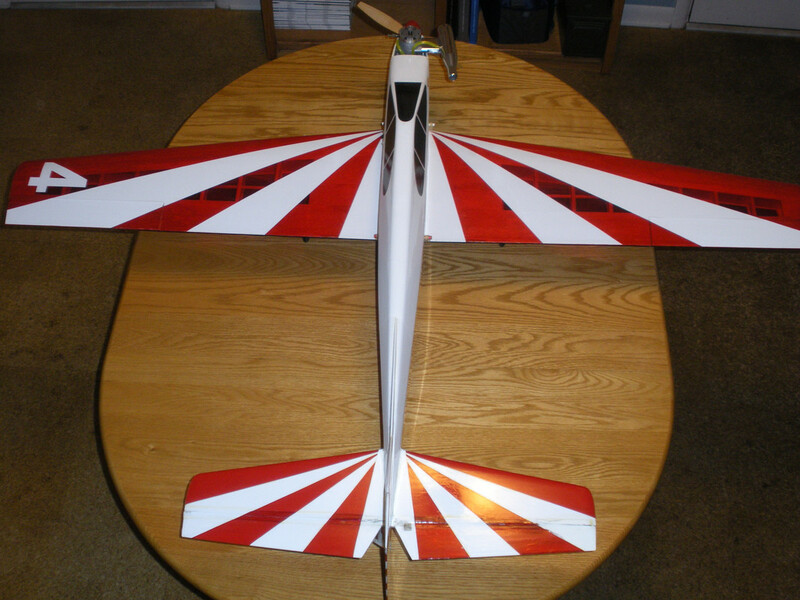 Now that I am comfortable again with my flying skills I have been busy getting my Groover 4 -60 ready to fly. This may be the only Groover 4 - 60 size in existence today, and making it even more special it was built by the man himself, Nathan! 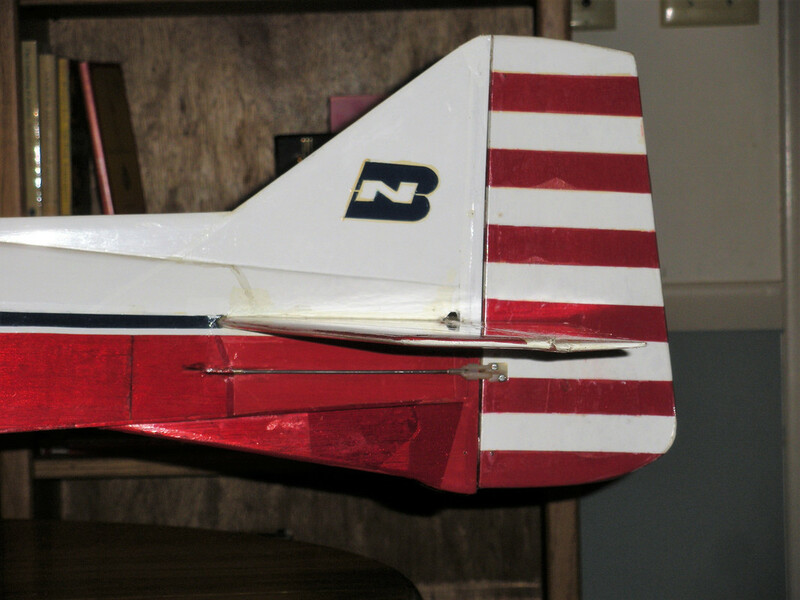 Nathan had given me a fuselage that had been crash damaged but was meticulously repaired by him. The next winter he needed help clearing snow from his driveway and I volunteered to keep it clear for him. At the end of the snow clearing season he gave me a brand new wing he had built over the winter unbeknownst to me. I was on cloud 9! The focus on knife edge performance can be seen in these 2 photos. The knife edge performance is also enhanced by Nathan's building techniques that kept it light. The total weight with all gear (less fuel) is 6 lbs 2 ozs. I have gone through the Groover with a fine tooth comb. 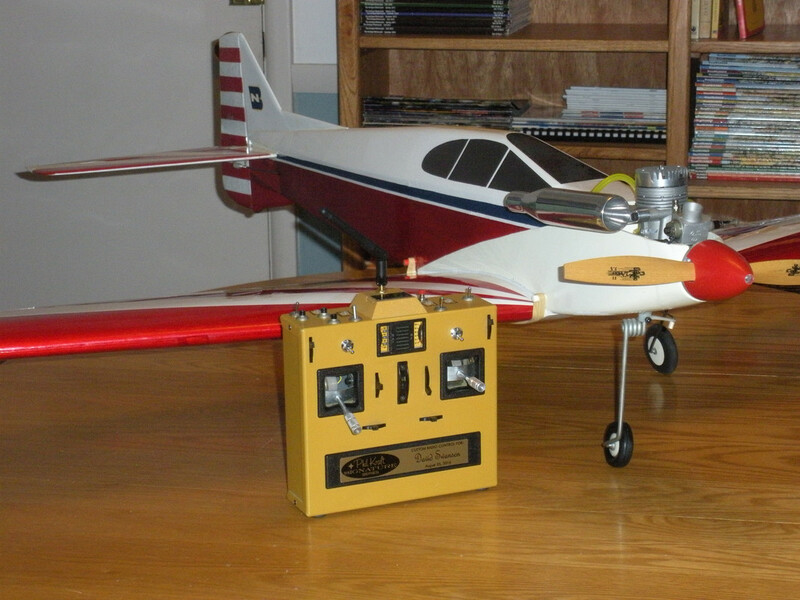 It has a new Spektrum 6 channel receiver, Hitec high voltage - digital servos, and a 2s 1300 Lipo receiver battery. I will be using my Kraft Signature Series transmitter converted to 2.4 by Cal Orr. A sweet setup! The engine is an old OS 61FSR ABC that is still in great shape and fits like a glove. Tomorrow morning will be a beautiful day for the maiden flight. I may have a beer with breakfast to settle my nerves! Wing Weight (with servo) 1.75 lbs. Last edited by Dave Swanson; Dec 27, 2018 at 01:49 PM. very nice lines indeed and great story! She Looks like a cross between an Arrow tail, a Hammer fuse and a Zlin wing. Fantastic story and post. Please keep it coming. 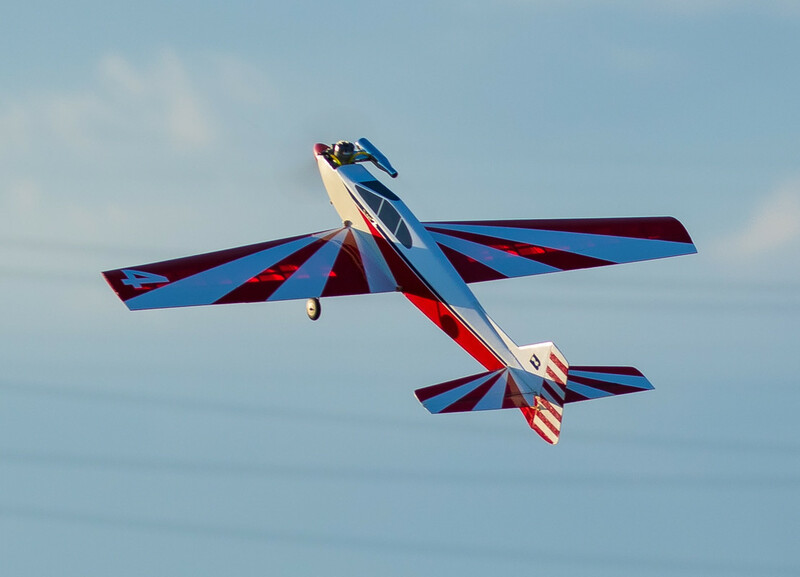 Great story and a nice looking plane, give an update on how the maiden went. Plans possibly available ? Yes, keep your mentor's memory alive by posting the plans. I'd like to build one. I went to the field this morning. It was perfect weather and it brought a record crowd out to the field. The 3D planes were out there making their deafening noise, the foamies were flitting around like houseflies. In other words a good day at the field for all, but all the activity was messing with my Zen! 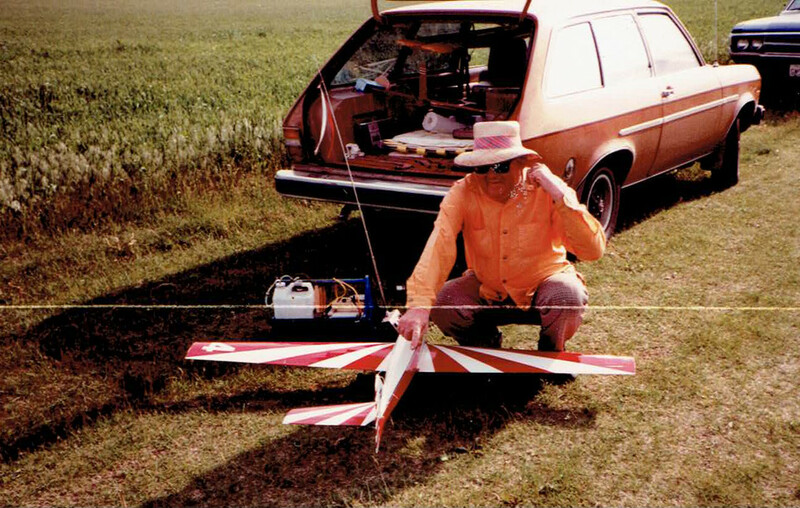 I flew my old Lou Andrews QuikRay 500 a couple of times and went home. I basically told myself if it doesn't feel right it isn't right. I went back to the field about 5 pm. It was empty. I unlocked the gate and went in and set up. I am happy to report I had 5 successful flights! My knees were knocking on the first flight, but the Groover was back in the air! it only needed a click or two of trim and all was good. The OS 61FSR was running super strong and perfect! 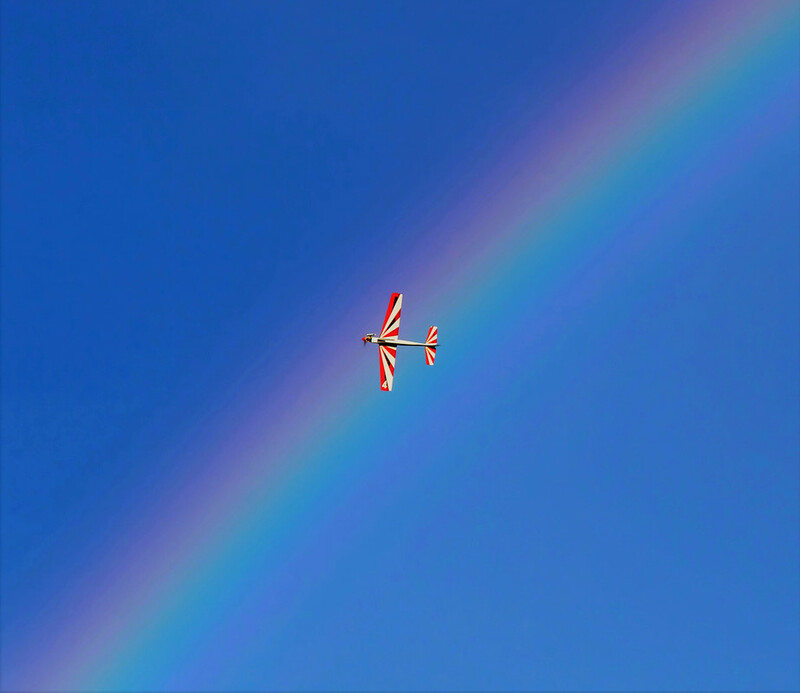 By the third flight I was back to doing knife edge loops. So easy to do its intoxicating! Nathan would be proud. Thanks old buddy for all the great memories and a most amazing plane! To those of you that want the plans I will make them available as soon as I find them. I know I didn't throw them away, but I put them away 30 years ago and haven't found the spot yet. Last edited by Dave Swanson; Dec 27, 2018 at 01:51 PM. Some pictures from this evenings session. Photos courtesy of my son, Kris. We had the good luck of a rainbow! Last edited by Dave Swanson; Dec 27, 2018 at 01:55 PM. Nice photos. I need a better camera. My better camera's were all made for 35mm film. Had to explain what this was to my kids. The pictures with the rainbow are AWESOME! A very unique and awesome design. He got it right with the way he did the vertical fin. I appreciate how you honor your friend. I hope that you find those plans! Awesome! Great thread Dave and hats-off to your friends memory. Only Nathan and I at the field this day. I took Nat's Groover up and was putting it through the paces when I heard a brief flutter and saw 1/2 of the stab and elevator separate and float down. 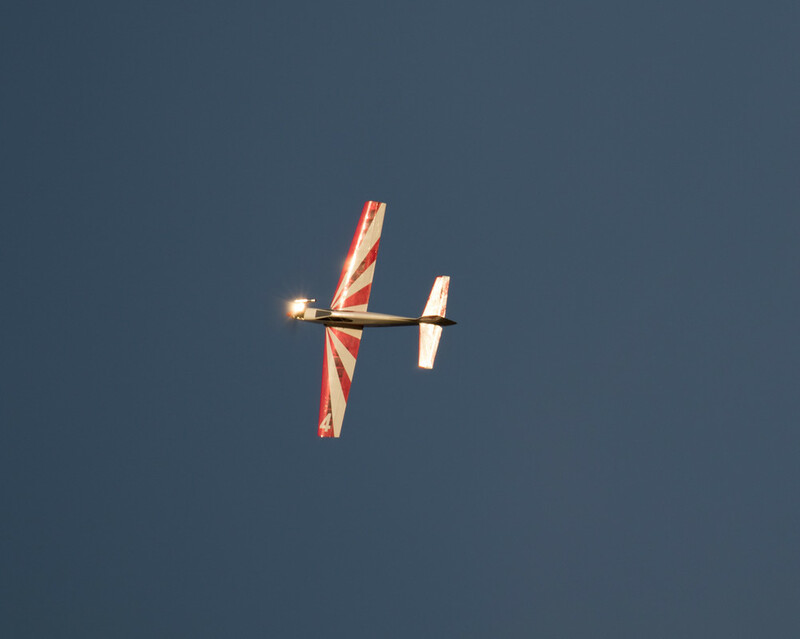 The Groover was still quite flyable in spite of the fact that the elevator control horn was on the side that flew off!! I eased the Groover back to the field and landed without incident. Here is Nathan pointing to the stab and doing the circling "crazy" gesture with the other hand. A testimony to a well balanced plane if there ever was one! Last edited by Dave Swanson; Dec 27, 2018 at 01:56 PM. Awesome plane and story Dave. I bet your Groover Hauled A _ _ with that FSR bolted to the firewall. I hope you enjoy many more years of enjoyable flights and memories of your friend.